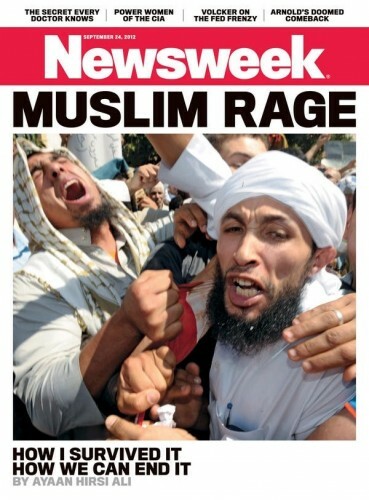 Look at them there, all Muslim-y and rage-y! As information trickles out about the two brothers named primary suspects in the Boston Marathon bombing, some in the media are starting to observe that 26-year-old Tamerlan Tsarnaev, who was killed Thursday night in a chaotic shootout with police, may be named after one of history’s most ferocious conquerors. Amir Temur, also known as Tamerlane, was a Central Asian ruler and warlord who lived in the 14th and 15th centuries. Scholars estimate that his military campaigns throughout Central Asia, Africa, Europe, and the modern Middle East killed about 17 million people, or 5 percent of the world’s population at the time. Identifying strongly with Mongol culture, Tamerlane wanted to restore the empire of Genghis Khan and conquered the modern nations of Iran, Turkey, Georgia, Azerbaijan, Syria, India, and southern regions of Russia. He was a devout Muslim who referred to himself as the “Sword of Islam,” even though he razed many of the Islamic world’s greatest cities at the time. Aside from the fuzzy history (Timur didn’t “[identify] strongly with Mongol culture,” like he was a big fan of it or something; he was a Mongol, married into Genghis Khan’s bloodline, and propped up two successive descendents of Genghis as puppet khans during his lifetime), the problem with this is: so what? Given everything that was happening last week, Friday in particular, were “some in the media” really bothering to run down leads on a Central Asian warlord who died in 1405 and, if so, shouldn’t those people consider a different line of work? Yes, Timur was not a nice guy; it’s fair to say, as the article later does, that he engaged in a kind of terrorism in his own right, slaughtering entire cities as a warning to other cities not to resist his armies. Then again, Genghis Khan did the same thing, but people in Mongolia still name their children Temujin (Genghis’ birth name). Timur holds a similar national hero stature in Central Asia, particularly in Uzbekistan, and among Muslims living in the Caucasus and Russia, so there are people named after him from that part of the world (to say nothing of the ones named “Timur” because that’s just a pretty common Central Asian name). Should we be afraid of all of them? Why bother calling attention to this at all? Temür Öljeytü Khan (d. 1307) was really the second emperor of the Mongolian Yuan Dynasty (the branch of the family that ruled China), though listed in official records as the seventh because once the Mongols fully conquered China under Khubilai Khan, they retroactively named five of his ancestors as Yuan Emperors. Consolidated his grandfather Khubilai’s gains and reigned well if not spectacularly. Toghay Timur (d. 1353) is one of my favs; he claimed to rule the Ilkhanate, the Mongol kingdom comprised mostly of Iran and parts of Iraq, even though he was not a descendant of Genghis Khan, but rather of his brother. Basically the pool of Genghis’ descendants had been scraped to the bottom, but the Mongol tribes needed SOMEBODY to “rule” them (don’t be fooled, tribal elites were calling all the shots by this point), so they went with this guy. As you might imagine he was pretty much a clown. Timur Beg (d. 1933): led a Uyghur rebellion against the Chinese. It didn’t go well. I’m just being silly, and a little unfair to The Daily Beast. Tamerlan Tsarnaev wasn’t just named Timur, he was named Tamerlan, which is a corruption of “Timur-i Lang,” or “Timur the Lame,” one of Timur’s epithets. He was shot in the right leg by an arrow a few years before he rose to power, either during a raid or while fighting as a mercenary, and the wound never healed properly, leaving him crippled for the rest of his life. So Tamerlan was, in fact, named for THE historical Timur. Sarah Kendzior’s “Nicholas-Nicholas I” comparison doesn’t really apply, either. But that’s all irrelevant, because I’m still trying to figure out why the etymology of the guy’s name matters in the first place. This kind of scouring about for any obscure thing we can attach to an alleged criminal simply doesn’t happen when the suspect is American, familiar, and (dare I say?) white. When Adam Lanza kills children in an elementary school, nobody at The Daily Beast thinks to write “Lanza, of course, is named after the Biblical first man, Adam, who got the ball rolling on this whole thing when he and his wife got mankind booted from paradise.” When James Holmes shoots up a theater, nobody connects him to, say, Jim Jones, the nutty cult leader who murdered almost 1000 at Jonestown in 1978. But if the suspect comes from a different part of the world, one most Americans know absolutely nothing about, with a funny name? Then I guess everything is fair game. The elder, Tamerlan—apparently named for the 14th-century Muslim conqueror famous for building pyramids of his victims’ skulls to commemorate his triumphs over infidels—is dead. HE’S DEAD NOW! JUST LIKE THE CONQUEROR TIMUR WHO DIED IN 1405! IT’S ALL BECOMING CLEARER! Is it little wonder that Michael Mukasey was the smrtest Bush AG? Well, I mean he was probably tied with Ashcroft, but they were both definitely smrter than Alberto Gonzales!